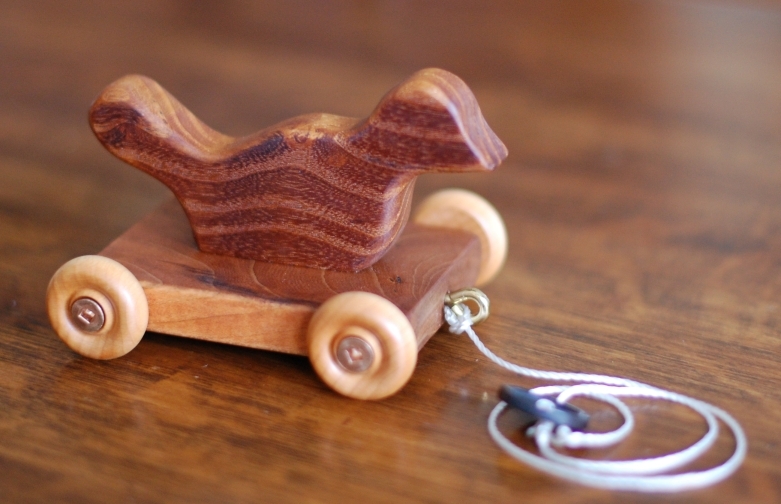 This one is mulberry wood on a cherry base with maple wheels – an old button to pull it with. This entry was posted on March 25, 2013 at 1:12 am and is filed under Birds, Toy Making, Wooden tops. You can follow any responses to this entry through the RSS 2.0 feed. You can leave a response, or trackback from your own site. Nice. simple and clean…and it will be handed down to grandchildren one day.